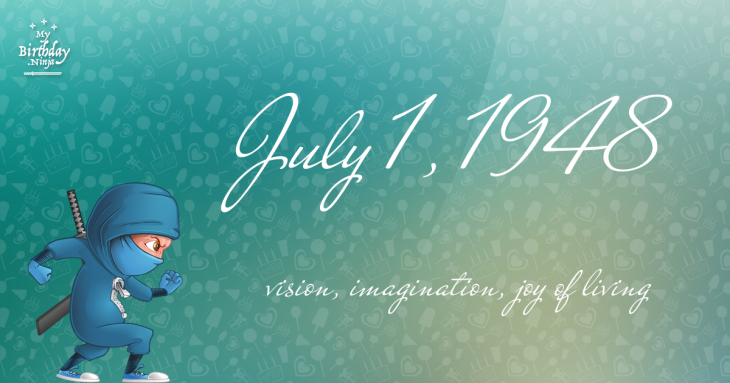 Here are some snazzy birthday facts about 1st of July 1948 that no one tells you about. Don’t wait a minute longer and jump in using the content links below. Average read time of 9 minutes. Enjoy! What day was my birthday Jul 1, 1948? July 1, 1948 was a Thursday and it was the 183rd day of the year 1948. It was the 27th Thursday of that year. The next time you can reuse your old 1948 calendar will be in 2032. Both calendars will be exactly the same! This is assuming you are not interested in the dates for Easter and other irregular holidays that are based on a lunisolar calendar. There are 73 days left before your next birthday. You will be 71 years old when that day comes. There have been 25,859 days from the day you were born up to today. If you’ve been sleeping 8 hours daily since birth, then you have slept a total of 8,620 days or 23.60 years. You spent 33% of your life sleeping. Since night and day always follow each other, there were precisely 875 full moons after you were born up to this day. How many of them did you see? The next full moon that you can see will be on April 19 at 11:14:00 GMT – Friday. Fun stat: Your first one billion seconds (1,000,000,000) happened sometime on March 9, 1980. If a dog named Chiza - a Chihuahua breed, was born on the same date as you then it will be 300 dog years old today. A dog’s first human year is equal to 15 dog years. Dogs age differently depending on breed and size. When you reach the age of 6 Chiza will be 40 dog years old. From that point forward a small-sized dog like Chiza will age 4 dog years for every human year. The Battle of La Higueruela takes place in Granada, leading to a modest advance of the Kingdom of Castile during the Reconquista. Raid on Lunenburg: American privateers attack the British settlement of Lunenburg, Nova Scotia. The United States Department of Justice formally comes into existence. The first color television transmission in Canada takes place from Toronto. German reunification: East Germany accepts the Deutsche Mark as its currency, thus uniting the economies of East and West Germany. Saturn orbit insertion of Cassini–Huygens begins at 01:12 UTC and ends at 02:48 UTC. What does my birthday July 1, 1948 mean? 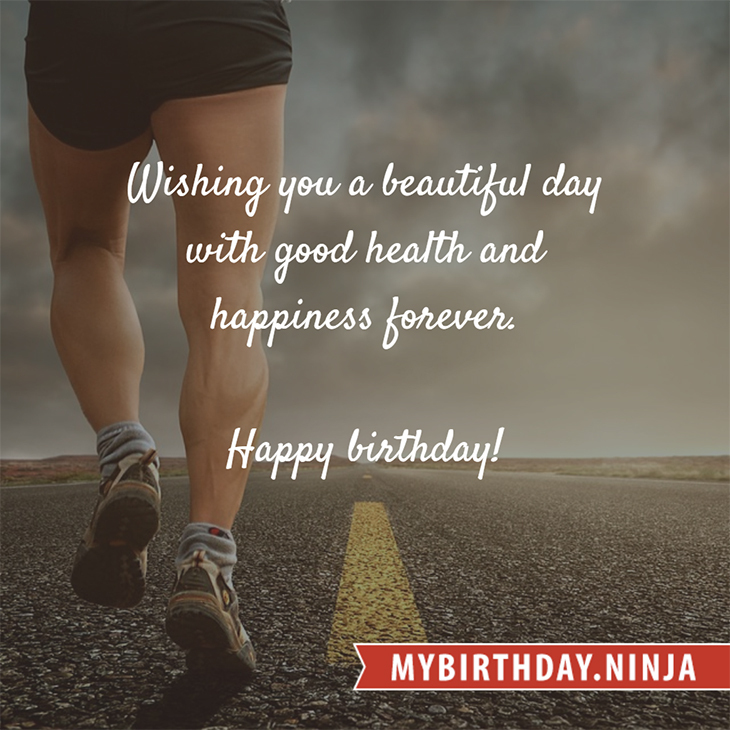 Your birthday numbers 7, 1, and 1948 reveal that your Life Path number is 3. It represents vision, imagination and joy of living. You possess a great talent for creativity and self expression. The following celebrities also have the same life path number: Masako Katsuki, Sergei Bodrov, Jr., Denise Crosby, Kouhei Takeda, Valerie Cruz, Glynis Johns, Kirsti Sparboe, Ranbir Kapoor, Kim Delaney, Gloria Henry. What is the birthday horoscope for Jul 1, 1948? The Western zodiac or sun sign of a person born on July 1 is Cancer ♋ (The Crab) – a cardinal sign with Water as Western element. The ruling planet is Moon – the celestial body of moods and emotions. According to the ancient art of Chinese astrology (or Eastern zodiac), Rat is the mythical animal and Earth is the Eastern element of a person born on July 1, 1948. Fun fact: The birth flower for 1st July 1948 is Larkspur for haughtiness. What is the Love Match for Jul 1, 1948? When it comes to love and relationship, you are most compatible with a person born on April 11, 1956. You have a Love Match compatibility score of +175. Imagine being in love with your soul mate. On the negative side, you are most incompatible with a person born on December 27, 1967. Your incompatibility score is -197. You’ll be like a cat and a dog on a love-hate relationship. Arf-arf, I want to bite you. Meow-meow, stay away from me! I do not know how you feel about this, but you were a female ♀ in your last earthly incarnation. You were born somewhere around the territory of Southern England approximately on 1650. Your profession was handicraftsman, mechanic. What is the popular baby name on 1 Jul 1948? Here’s a quick list of all the fun birthday facts about July 1, 1948. Celebrities, famous birthdays, historical events, and past life were excluded. Try another birth date of someone you know or try the birthday of these celebrities: June 25, 1979 – Busy Philipps, American actress; July 17, 1968 – Andre Royo, American actor and producer; September 6, 1980 – Kerry Katona, English singer and actress (Atomic Kitten).